Happy #MotivationMonday, Chic’ers! 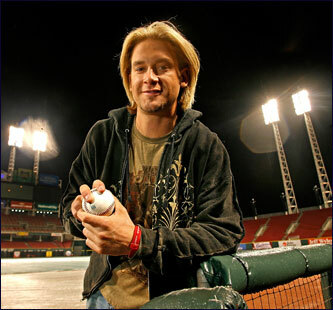 Bronson Arroyo of the Cincinnati Reds supports Rappel for a Reason! Find out how you can too! REGISTER to #Rappel down 325 feet of the Neyer Properties building on July 14 in #DowntownCincinnati to benefit the Aubrey Rose Foundation & raise money for critically ill kids. NO EXPERIENCE NECESSARY! Can’t rappel? Make a donation! http://ow.ly/8CNv30iCzSh To learn more about Rappel for a Reason on July 14, visit http://www.rappelforareason.com/. Previous PostStyling with Amy and Amy: Flattering Your FigureNext PostPinnacle at Columbia Plaza July 20!